Welcome to Quality Care Carpet Cleaning! 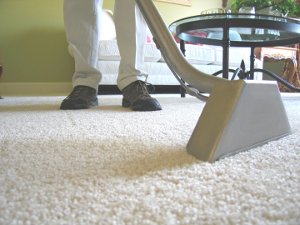 Quality Care Carpet Cleaning is the preferred choice for professional carpet cleaning in the North DFW area! We are proud to say we are not the “big guys”, but a local, family business that is well established because of its excellent reputation in the communities we serve. We care for each and every customer, treating their home like it was our own! Owner and technician, Tim Moore, is IICRC certified in his trade and has over a decade of professional cleaning experience. Having the owner and technician as your professional cleaner, guarantees the same excellent service and quality of work each time. Our goal is to have satisfied customers for life! Quality Care Carpet Cleaning provides carpet cleaning, tile & grout cleaning, rug cleaning, pet odor removal, upholstery cleaning, and air duct cleaning. Everyone wants a sparkling clean house! Therefore to provide you with the quality your home deserves, we proudly use the best carpet cleaning equipment in the industry; the preferred truck mounted system. Our powerful extraction cleaning techniques will reach deep into your carpet fibers to thoroughly remove dirt, pollen, bacteria, pet dander, and many other unwanted particles. We provide solutions for those spots, stains, high-traffic areas and pet odors from urine, oil, and dander. 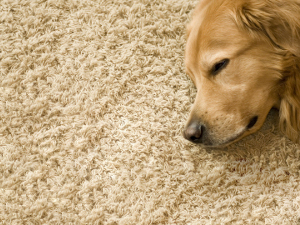 Your carpets and rugs will look brighter, smell fresher, and feel softer. You just can’t get this type of deep cleaning using rental cleaning systems or dry cleaning methods. In addition, our products are biodegradable, kid friendly, and pet friendly ensuring your home is safe and clean. Maybe you haven’t thought of getting a professional tile and grout cleaning? It’s amazing to see what color those grout lines really are on your kitchen or bathroom floors! Could it be that your furniture has never been cleaned or has spills that leave an unsightly mess? We refresh and restore your upholstery to look new again! Also to protect your investment, we can apply Scotch Guard to prevent staining. Perhaps you have forgotten what is hidden in your air ducts. With a free inspection, we can easily locate dust and allergens. Then by using our thorough brush cleaning technology, we can remove most of the unwanted partials from your unit! We are confident you will be completely satisfied with all of our services! Our customers rave about us! You will consistently notice- best carpet cleaning, professional, knowledgeable, excellent communication and customer service. Take a moment and read some of our 5 star testimonials on Google, Yelp, Facebook, and Angie’s List!